Nowadays, people are more health conscious than they used to be because they now understand that good health is above wealth. Personally, to keep myself healthy, I taking regular exercises since 4 years ago such as jogging, then slowly adding dance work out in my work out routines. I don't wish to be skinny type but I want to look good and feel healthy. Well, besides working out, food intake is another important thing to keep myself healthy, especially eat less sweet. lower salt, and low fat food. My family takes oatmeal in every morning because our family doctor advised us to do so. 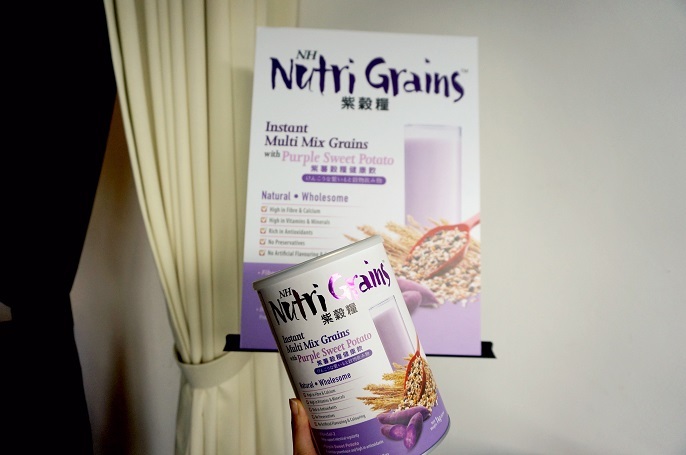 So happy that NH Nutri Grains come in the right time to replace my daily breakfast meal, no more excuse for skipping breakfast! 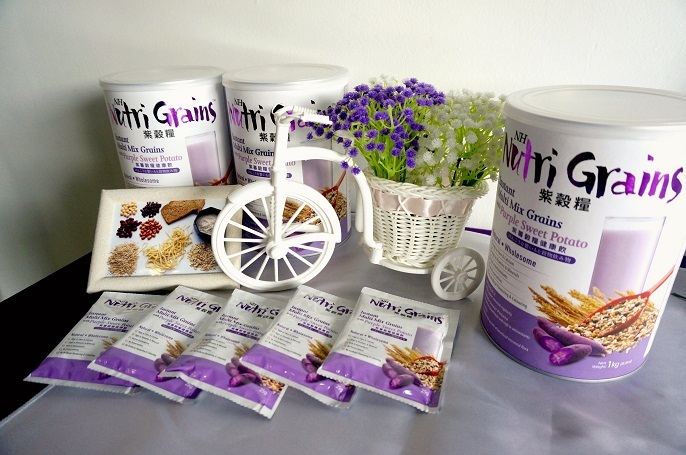 NH Nutri Grains is a local product that produced by Herbalceutical (M) Sdn Bhd. 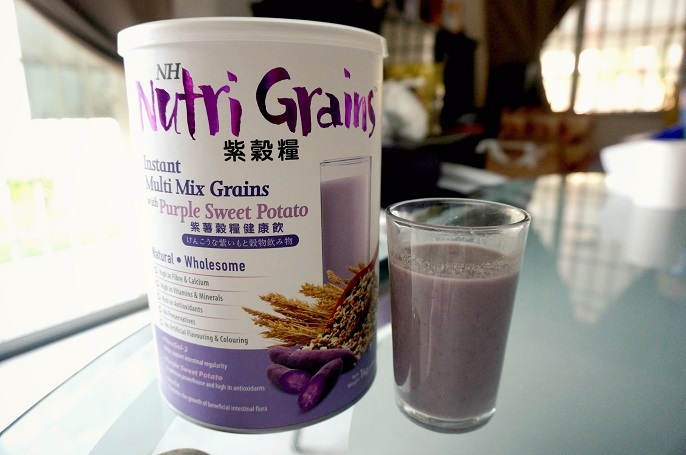 It is a wholesome health drink made from 20 nutrient-rich grains, purple sweet potatoes, and soluble fibres such as FiberSol-2 and Inulin. Purple sweet potato is a good source of fibre, vitamins, and minerals. FiberSol-2 is a low viscosity soluble corn fibre. Inulin is a soluble fibre that acts as prebiotics. In order to reduce the risk of chronic diseases, namely diabetes and heart disease, it is important that we consume enough whole grains instead of refined grains. Also, according to the studies, it said that grains should make up over a third of the food we consume daily and at least 50% of the total should be whole grain version. 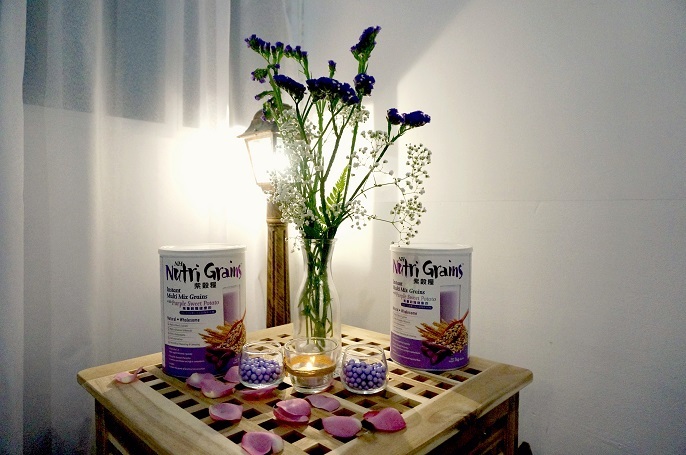 So now you should know how important the whole grains means to our body! 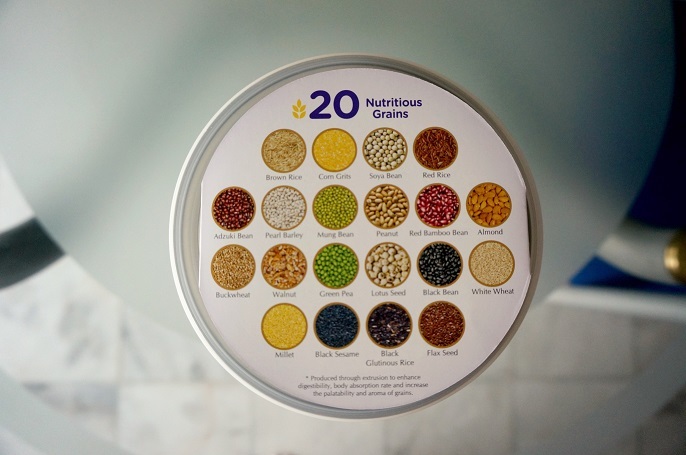 The highlight of taking NH Nutri Grains is because it contains total 20 nutritious grains which include all the above. Well now, tell me if you are able to recognize some of the grains that showed in the picture? If you can't, that probably means you do not consume enough grains for your body. 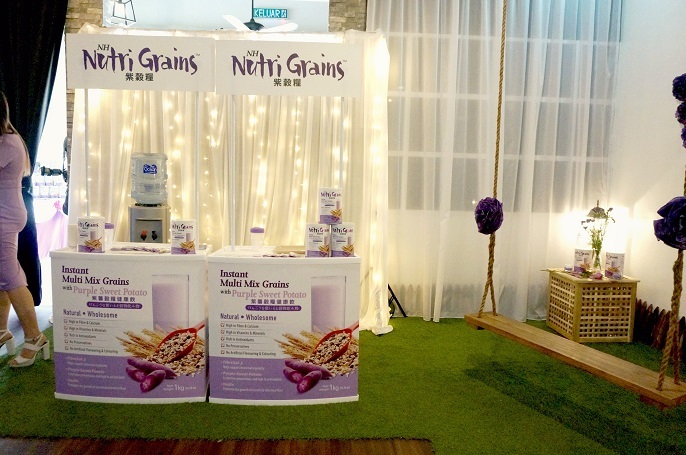 NH Nutri Grains is designed for whole family whereby everyone at home can benefit from natural goodness. #6 Helps redistribute fat which cuts down belly fat and organ fat. 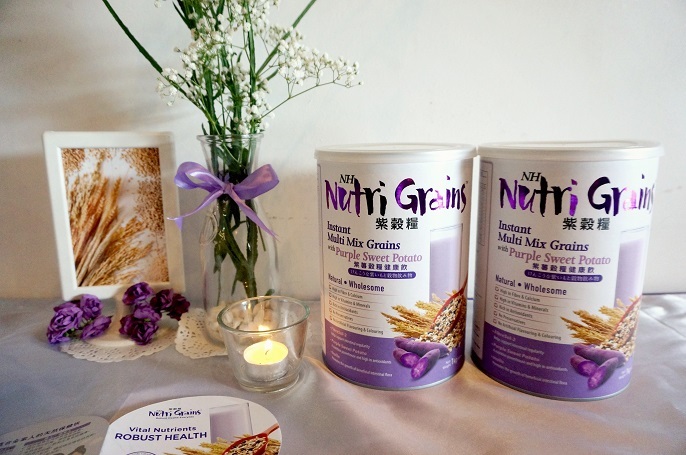 The NH Nutri Grains is especially suitable for pregnant women, those who has diabetics, high cholesterol and high blood pressure. The way of consumption is very simple. Mix 2 scoops of powder with a glass (about 200ml) of cold or hot water. Stir well and drink after preparation. You can take it as either hot or cold beverage, and enjoy it whenever you want! Tips: You should always close the tin cover tightly to keep the freshness. 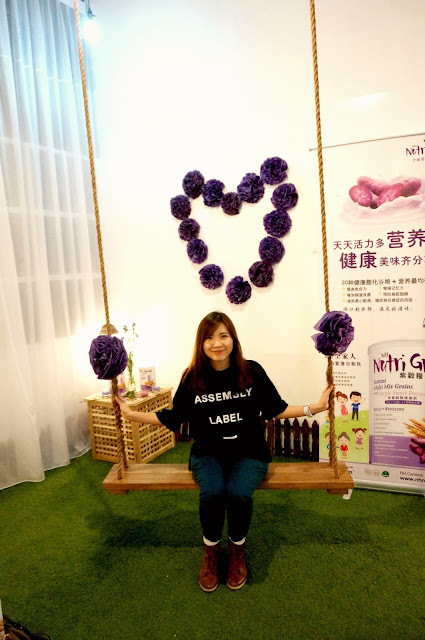 It is also good to help you to robust your health everyday! 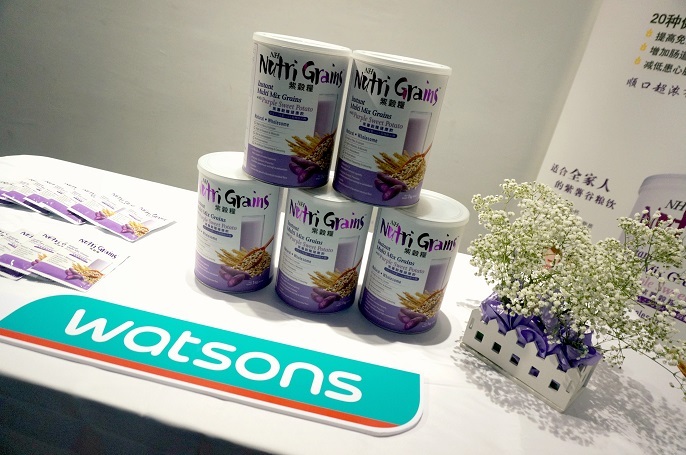 NH Nutri Grains is now sold exclusively at all Watsons store nationwide @ RM78/1kg. One tin can last for at least 30 - 40 days, assuming you consume one time in a day. Anyway, I hope everyone will motivate yourself to have a healthier lifestyle. Not only eat healthy, but also practice yourself to work out daily, and of course sleep early too! 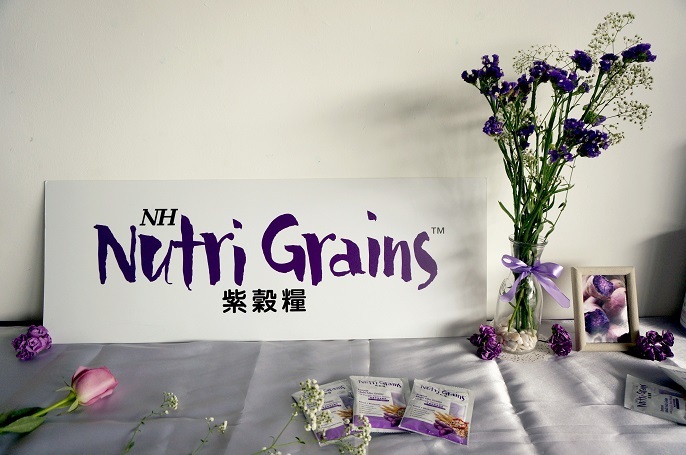 If you want to know how NH Nutri Grains can keep you staying healthy, you can head over to www.nhnutrient.com, or call their careline at 1300-88-2993.